With their subtle proportions and elegance, timber sash windows were one of the most important visual elements in buildings of the 18th and 19th Centuries. At Ranebrook Windows we can adapt our replacement Sash Windows to match most periodic styles and replicate any design or pattern based on our range of layout and design options, as well as our generous glazing, timber and paint options. Wooden Casement windows were the most common house window before the sash window was introduced. Now they take preference in buildings for which plenty of fresh air and light is a major priority. Focusing on bespoke products and high quality, we can offer a wide range of different styles of timber casement windows. From a traditional Georgian style window with bars to more modern non-bar styles, we have a design to suit everyone. Our door collection will give your home a touch of class and transform it by adding natural light and improving security and access. They bring a room to life by flooding it with light, helping you to enjoy the garden in your home in the summer, and keep the heat in throughout the winter. You can choose from many styles and personalise your product with different timber types, hardware or finishes- combining your home’s colour scheme. Ranebrook Windows provide exceptional quality, triple glazed, single glazed and double glazed Sash Windows, Casement Windows and Door Systems. We established a reputation for the quality of our products very quickly, creating unique and contemporary designs. 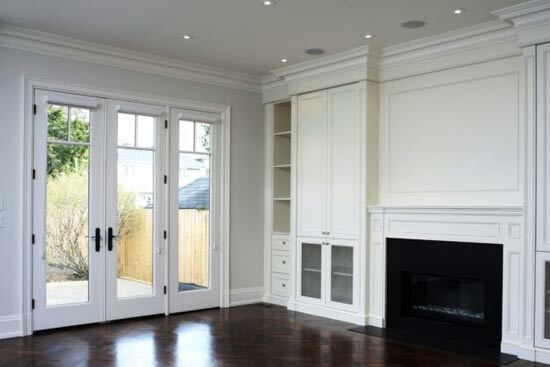 With us, you have infinite possibilities that influence the design of your home. Our bespoke window service ensures that we can customise your new windows to any size, shape or style you require. You can get the appearance of an authentic timber window with all the modern benefits. Our timber Windows and Doors are secure, rattle-free, and energy efficient. By offering you a wide variety of colours and fitting options, we can ensure that the final outcome fits your exact needs. Unlike many of our competitors, we supply and fit all of our own windows, which allows us complete control of the process from start to finish. If you have any queries as to why and how an individual process takes place, please don’t hesitate to ask or search our FAQ. We want you to know just how special you and your project are to us, so we do our very best to ensure that you and your needs always come first. Simply call or e-mail us and we’ll be happy to help. Our work is good. We promise. And behind that promise, we want you to know that we back our work with a satisfaction guarantee. We won’t stop working until you like what we’ve done. And we will always ensure that the timing of our installation work is convenient to you. 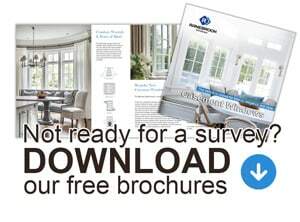 Why should you choose Ranebrook Windows? What separates us from the rest? We hope that the following 8 points will help to make your decision just that little bit easier. We will supply you with only the top quality double glazed sash windows, timber casement windows and doors and are incredibly proud of the solid construction of our products. We can offer a selection of premium products that will change the look of your home. This means that you will get some of the finest products that will look better and last longer than cheaper alternatives. Each factory we work with is focused on specific window profiles. This allows us to save time, increasing productivity and reducing costs. All of this gives us the opportunity to offer you reasonable and affordable prices. We guarantee to return your calls within 24 hours and to be with you within 15 minutes of our scheduled appointment time. We can work around your schedule, offering you e-mail or phone consultations and home visitations. We have a non-commission based approach to sales, so we won’t pressure you into making a decision. Our team members know our products inside out and can advise you about the best types of double glazed sash windows, timber casement windows and/or doors for your property. You will receive information specific to your needs and experienced guidance at every stage. Therefore, you can be sure you are making the right decisions for you and your home. We offer a 5-year guarantee on all of our products, with no charge for work undertaken under the terms and the duration of the guarantee. We’re a FENSA Certified Installer, this means our products and the way in which we fit them are building regulations compliant. We register your installation with FENSA so you don’t have to worry about that. Our very own experienced window and door fitters are directly employed by us, which means they always work to the high standards we set for our building work and installations, they will leave your home tidy and clear away all of their rubbish. After fitting your new windows and/or doors, we will ensure that you’re 100% satisfied with your installation. Should you have any issues, our customer care team is only a phone call away. We operate a nationwide service and will never turn down enquiries from the whole of UK. But as our office is located in South East London, we attract enquiries from local areas. We have been actively serving the areas below, however, cannot possibly list every single project we complete because we work regionally in all parts of London, Kent, Essex, Sussex, etc. and of course nationwide. For this reason, we would ask that you call us on 01322332237 or use our contact page. Even if your town or village is not listed, we will still be happy to provide a free no-obligation quote. Ranebrook seem to have all of the answers – they are affordable, service is impeccable and the quality of their product is second to none. Dealing with Vytas was an absolute pleasure. He allowed me to bespoke my order and kept me well informed at every stage of the process. When the windows and doors arrived, the quality of the finish was extremely impressive. We are delighted with them and the standard of work and finish. Our builder is rapturous about them and was very pleased they came completely finished and ready to install with no painting or glazing required. Once again thank you. Ranebrook fitted two slide and tilt wooden sashes for us in very tricky locations, one on the fourth floor into a difficult panelled dormer, the other above a conservatory. They were organised, clean, courteous and tidy. The windows were of excellent quality. Vytas was a pleasure to deal with and I would not only use them again but would definitely recommend them to others. I can’t really fault their service, prices or quality. And I wouldn’t say that very often….. I used Ranebrook on a prestigious project in Hampstead, central london for the supply of 2 sliding sash windows. Products were great, price was right, and delivered on time as promised. I will use them again that is for sure. Great quality windows and service. It’s so much warmer and quieter with all this wind we’ve been having. Highly recommended! Ranebrook have been excellent throughout the process of purchasing a new window. Great service and delivery , would definitely use this company again. The wooden windows which were supplied were very good. They were fitted well and on time. The people were courteous and helpful. I would be happy to use them again and to recommend them.